Most recently they have added two vintage military aviation wing tanks at the entrance to welcome visitors and veterans alike. Standing at 15’ feet tall, the wing tanks serve as a tribute to military heritage, specifically to Oregon and the coast. 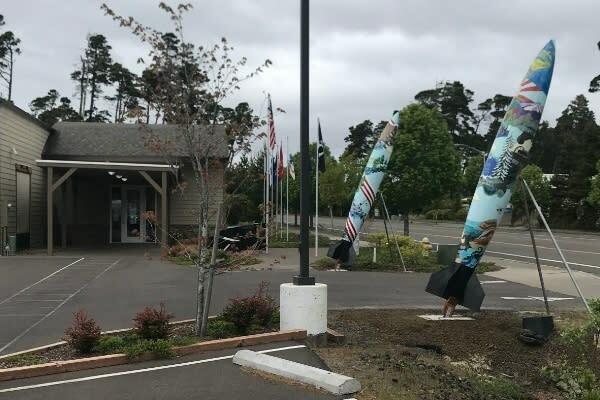 With colorful, graphic artwork depicting different coastal scenes, including Heceta Head Lighthouse, the wing tanks surely make the Oregon Coast Military Museum a one-of-a-kind museum. Volunteers put a lot of time and work into creating the Oregon Coast Military Museum, the end result being that spectators are pulled into absorbing every minute detail. The primary focus of the museum is on the daily components of life of soldiers in the trenches, on subs, in mess halls and more! One of the sections of the museum is a canteen with an old jukebox and popcorn popper. Veterans who visit the museum are taken back to their past with relics such as old rifles, an actual jeep, and Nazi relics. One of the most intriguing parts of the museum is actual hammocks used by soldiers on ships deployed during the war. 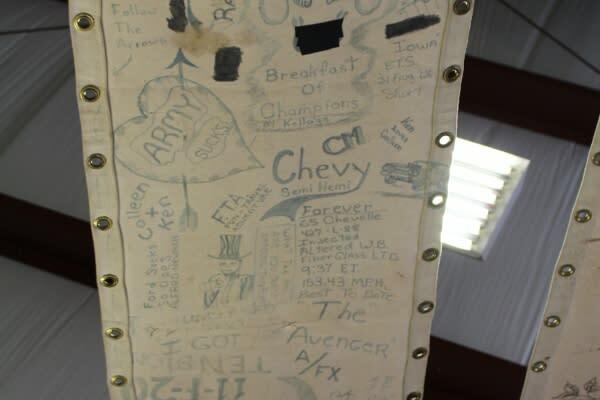 Each hammock portrays the personality of a soldier as they would doodle on the hammock above them to pass the time. The Oregon Coast Military Museum has limited meeting space which makes it perfect for small military reunions or small receptions. Groups of 10 or more receive a discount. 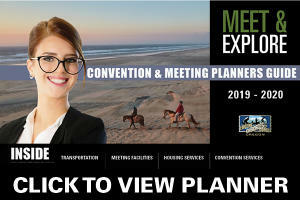 To add the Oregon Coast Military Museum to your next event or hold your next meeting there, contact us for more information! 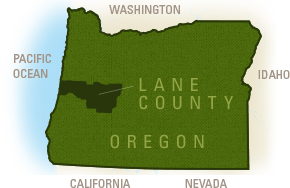 An Oregonian at heart, Katerine Morton grew up in Lane County and attended Oregon State University, where she got her degree in Digital Communication Arts before returning to Eugene-Springfield. She loves running, trying out new restaurants and is passionate about dance.